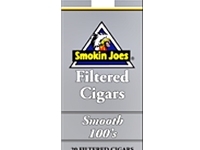 Just a tadbit stronger than any other mild cigarette, and can't beat this great price. I really like the taste. stay lit, my main criteria. they have a sweet tip that I don't like and are a bit strong for me.